Valerian officinalis is a herb widely used for medicinal purposes. It is said to have a calming effect and assist with sleep. It is the root that is used in powders, and the leaves that are used in teas and other herbal products. It is a little hard to imagine how the roots came to be used. They certainly do not smell great, however the benefits outweigh the smell for many people who find it hard to sleep. 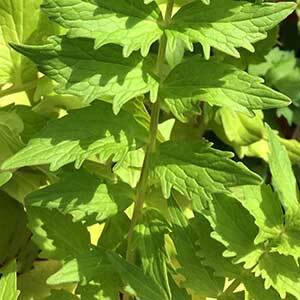 You can grow this perennial herb in the home garden and it is fairly easy in a good soil. This is a tall growing herb reaching nearly 2 metres in height. Valerian is grown in a clump at the rear of the herb patch where it can serve as a background plant to lower growing herbs. The trick to growing this plant is a humus rich moist soil along with good sun. Look for position in the garden that naturally retains moisture. It is best to amend the soil if needed, by digging in lots of well rotted compost and cow manure. Mulch around the plants to maintain moisture and apply a nitrogen rich fertiliser 3 – 4 time a year.